To create a webhook that talks to a remote service you will need to install a webhook plugin before you can create a Webhook. 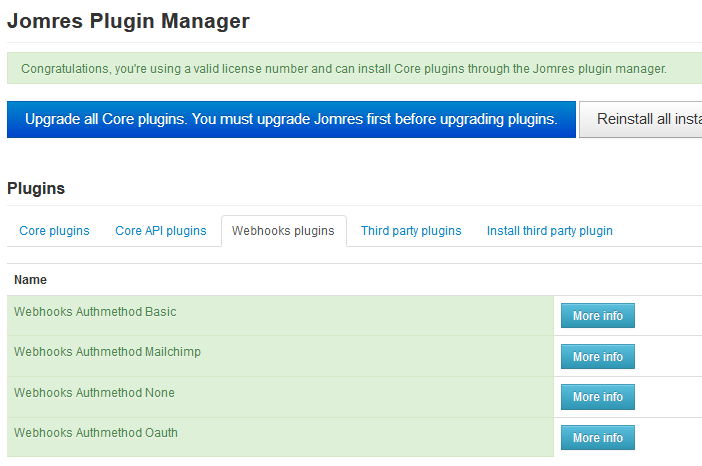 These plugins are installed via the webhooks tab in the Jomres Plugin Manager. Next you will need to login to the Property Manager's area in the frontend of your site. Once logged in you will see that you have a "Webhooks" option under the "Account Details" area of the Jomres Main Menu. If you cannot see this option you may have disabled showing these options in Site Configuration -> Misc tab, you will need to enable them first. 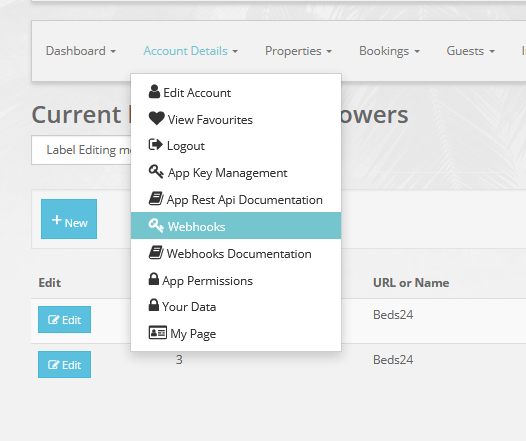 Once you are on the Webhooks page, you can create new webhooks, delete existing Webhooks etc. For most Webhooks you would need to provide a url and authentication information, however there can be exceptions. For example Jomres uses webhook functionality to update Beds24 (the Channel Manager) when tariffs have been changed. The Beds24 plugin creates it's own Webhook which only has a name, because the remote url and authentication functionality is hard coded in the Beds24 plugin itself. 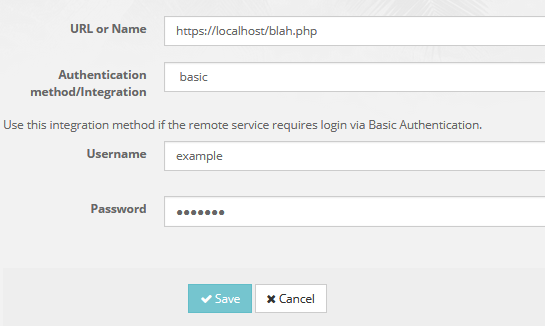 In this example I have chosen "Basic HTTP Authentication" in the Authentication dropdown. I have provided a hyphothetical url, and the plugin then requests the username and password required. Now click Save, and you're done. Every time one of the Jomres actions listed on the Webhook Methods is triggered, then the remote service will be informed about the action occuring in Jomres.